I will announce this right here, right now. 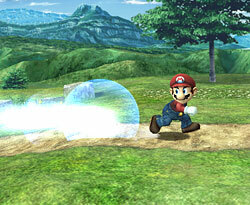 In Adventure Mode: The Subspace Emissary, you can also play with two players simultaneously! So, whether you’re siblings or close friends, two can play together. Of the two, one will be the protagonist. 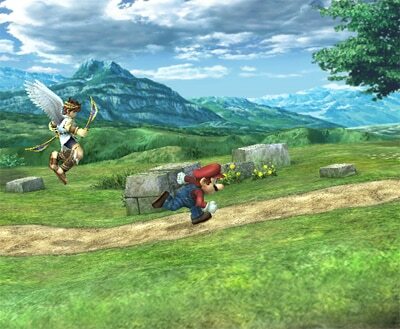 Essentially, the camera follows the protagonist, so the other player has to keep up. Player 2 is kind of like another option. Basically, it is the same as a standard Smash brawl, so if you take damage and get knocked off the screen, you lose a life. However, this mode features a space jump that allows Player 2 to return to where Player 1 is even after getting left off the screen. 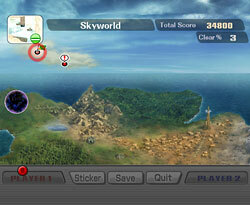 If Player 2 gets separated from Player 1 by the screen scroll, he or she will quickly space jump back to Player 1's side. But, if Player 2 gets knocked off the screen by an enemy, that counts as a lost life. You just come back naturally. The Subspace Emissary has the following map screen. The protagonists form teams based on the developments in the story, and the characters they encounter join their team. 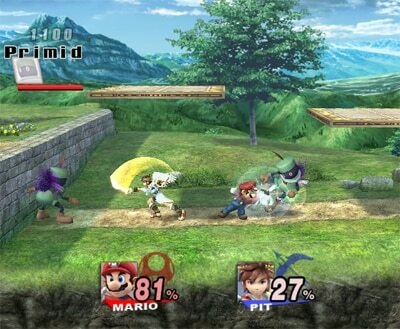 Choose a team and enter a stage. Your stock count, or the number of lives you can lose, is set for each stage. 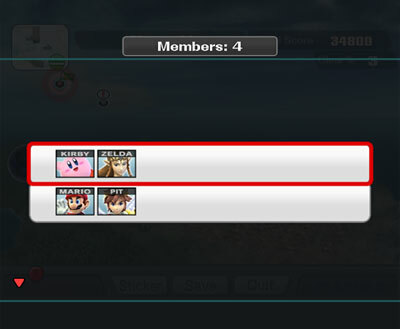 In co-op mode, when either player 1 or player 2 loses a life, that player will be revived as another team member until your stock count runs out. But, if Player 1 loses a life after the stock count has run out, that’s the end! Player 2 is participating simply as an optional player, so be careful. 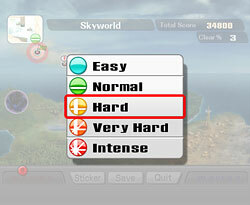 By the way, you can also choose the difficulty level. If you choose Easy, it will be quite easy indeed, so we definitely want people who aren’t very good at this type of game to give it a try! Even they will be able to make it to the ending. 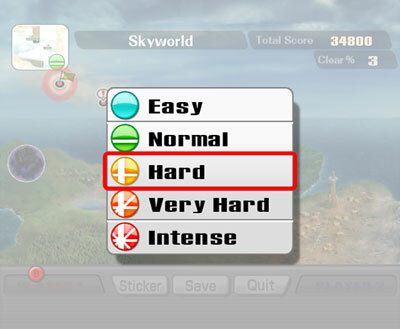 But, if you choose a harder difficulty, your rewards will be greater. That’s another part of the fun. There’s a method for powering yourself up as needed to do battle with the Subspace Army—a method that has not been seen before. I’ll explain this in great detail another time.